The city has unlimited bars, blasting the nation's best musical talent. Starting at 11:00 AM every morning, seven days a week, the bars downtown will feature local musicians playing their hearts out for tips, exposure, and fulfillment of their love for music. Because musicians play for free, there is rarely a cover at a bar. For every bar charging a cover charge, there are 20 that don't, so keep on strolling. 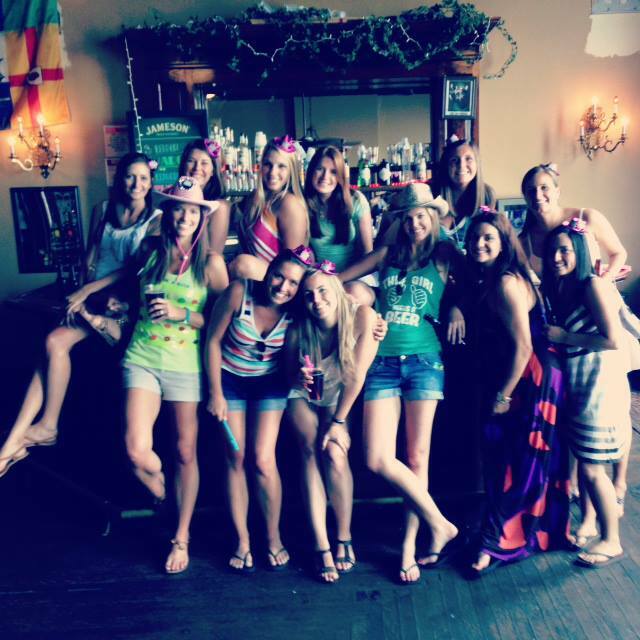 This makes for a fun, affordable evening for bachelorettes and bachelors, alike. There is ALWAYS something going on in Nashville. There is such vitality to the city, and a constant offering of things to do. 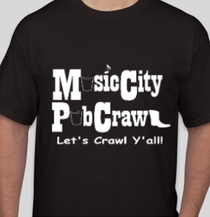 Music City Pub Crawl is a very popular activity for bachelors and bachelorettes. They host about 20 bachleor and bahcleorette parties each weekend, in addition to general groups each day and lots of other clebrations.. Music City Pub Crawl presents its brides with a veiled cowboy hat, and the tour highlights funny stories about Nashville's past, including toasts to the bride, and usually ends at Wild Beaver karaoke and bullriding Saloon. The cost is only $15 per guest, contributing to its popularity. And if the downtown scene gets a little congested and tired, parties can move over one mile to Midtown for more local flavor and eclectic offerings. The Midtown area includes Music Row, Vanderbilt and Belmont universities, three hospitals, oodles of local eateries, and the hip Hillsboro Village and West End neighborhood. Midtown is a younger crowd than downtown, which appeals to bachelorettes and bachelors! Another reason Nashville is such a popular destination for bridal parties is that warm southern charm. Everyone in Nashville is so friendly and helpful. Guests always ask why everyone is so nice? it's because they live in Nashville. Nashville is unique in that it has people from all backgrounds, most of whom were born in another part of the country; however, everyone is polite and welcoming of tourists. The city embraces everyone and exudes a sense of contentment that's not found in most cities of its size. In addition to music and lots of people watching, guests can also shop for a great pair of boots, a fun new outfit, or just meander through the souvenir and candy shops.There are boutiques in Hillsboro Village and 12th Ave South, as well as the Gulch. Broadway area primarily had souvenir shops. For more structured weekends there's the Grand Ole Opry or a cruise on the General Jackson. •	Try to stay in downtown or midtown, so you don't have to drive back and forth to your hotel or pay for cabs and Lyft/Uber. Downtown hotels are pricey but if you can put 4 people to a room, it won't be that costly. The convenience will be worth it. Most of the Midtown hotels have shuttles so you can have free transportation in a trendy, local area. Air BNB and VRBO rentals are very popular housing choices for larger groups. •	Flying in? Take the MTA bus from the airport to downtown for only $1.70 per person. A cab will cost about $30--Lyft or Uber about $20. Save that dough for drinks. •	-Try to plan ahead and make reservations early for activities. Many downtown restaurants do not take reservations, so arrive early. •	Don't just stick to downtown bars. Midtown offers a whole different vibe and a more local crowd, as do the Gulch, 12th Ave and East Nashville areas. •	Dress comfortably. Nashville is a casual town and you may have to do a lot of walking. And dress for the climate. Summers are warm and humid so wear loose clothing that breathes. •	Be sure to tip the musicians. The thing that makes Nashville special is the accessibility of fantastic music, all day long. Support the musicians by tossing a couple bucks in their buckets. They will really appreciate it! • Pace yourself. If you start partying hard at 11:00 AM, you'll give out by 5:00. Always drink plenty of water. It's not a bad idea to alternate an alcoholic beverage with a non-alcoholic one. Enjoy the city, the southern hospitality, and mostly enjoy the music!